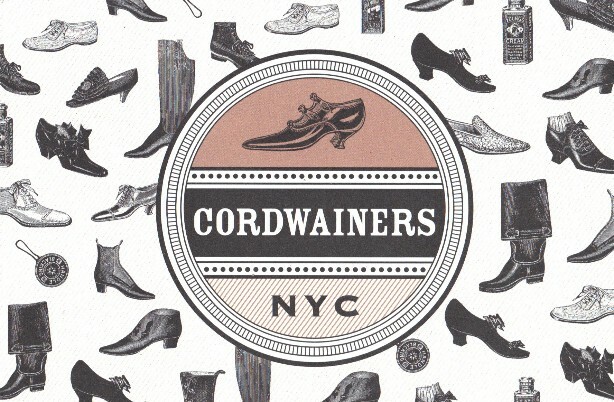 Cordwainers NYC - Astoria. Shining your shoes is very important to keeping the leather supple and soft for years to come. At Cordwainers NYC all our repairs come with a cream shine which enriches the leather and covers any scuff marks that might have occured during normal use. The cream shine leaves leather with a unglossy finish that is soft and nourished. An additional layer of wax can be added to the service if a glossy finish is requested. Salt stains, loss of color , and just normal wear and tear can take a toll on how your leather articles may look. Our restoration cleaning services are done in house and by hand by one of our artisans. Each article is throughly inspected for subtle nuances in the leather and for any stains and loss of color. After the article has been cleaned by hand, our artisans will take out any scratches, and retouch the color for a complete restoration. Before the article leaves our atelier, it is given a final inspection to make sure the restoration has met the Cordwainers NYC standard. Having shoes and boots that just don’t fit well can be incredibly uncomfortable and hurt your feet. Cordwainers NYC offers stretching services to accommodate this problem. For shoes we can stretch the instep, width, and length up to half a size up. For boots, we also offer stretching of the calf up to half a size. Loss of hardware, rips, and tears happen. Cordwainers NYC artisans are experts in mending these problems and bringing back your goods to the day you bought them. From the smallest of repairs like the loss of stiching on a handbag to the entire recrafting of tapering a boot to fit you specifically, Cordwainers NYC has the knowledge and tools in our atelier to handle all types of leather alterations. Cordwainers NYC is excited to offer The Fashion Leather Restoration Service for all of you to keep your luxury leather handbags, shoes, and accessories looking supple, fresh and new just like the day you bought them. At Cordwainers NYC, we understand that all your luxurious leather accessories, shoes, handbags are more than mere accompaniments but a part of you, your style and your personal statement; and it is with this in mind that we offer The Fashion Leather Restoration Service. The new service provided by the unsurpassed expertise of the Cordwainers NYC team will keep all your leather favorites in like-new condition, just the way you want them. Each stain removal is followed by touch-ups as needed and of course shining to restore that supple leather feel and look. The services are then inspected to insure that your restoration meets our strict highest quality Cordwainers NYC standard. I had a pair of shoes redone on the bottom and the guy didn't use Viabram, he used some no name cheap rubber sole. Really didn't last that long. Anyway, I didn't go back. You have to use Viabram man otherwise I won't use you as a shoemaker! The only reason I am giving this place a 2 1/2 star rating is because it is nice inside, not like a typical dirty shoemaker place.